Our guests will find a lot of attractions in the area. There are interesting sites and historical monuments that will make perfect trip destinations. You can check the Interactive Map of Harsz’s surroundings with nearby places worth visiting. On-site, in Stara Szkoła, we offer advice and assistance with the organization of your free time. 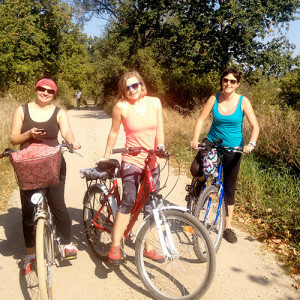 You can also rent bikes, row-boats and pedalos. Welcome. 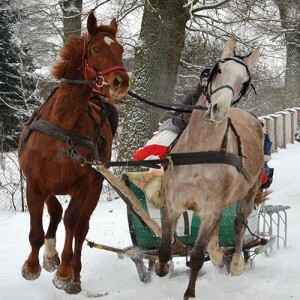 Sleigh rides, cross country skiing, ice skating on the frozen lake, ski slopes near Giżycko and Gołdap lakes, hiking trails, campfires by the lake and many others. Masurian lakes are beautiful in winter! Around lakes or in the forest. 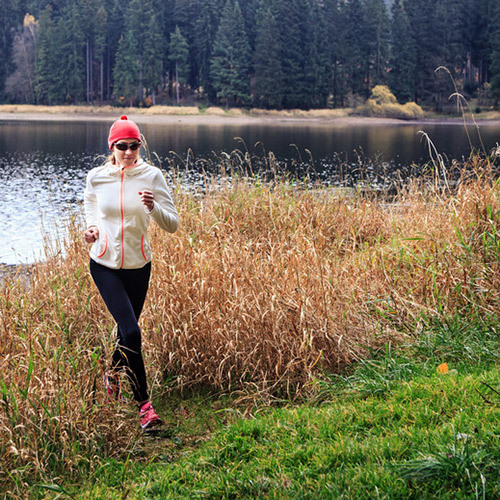 Running is never boring. So, put on some comfy shoes and move on! 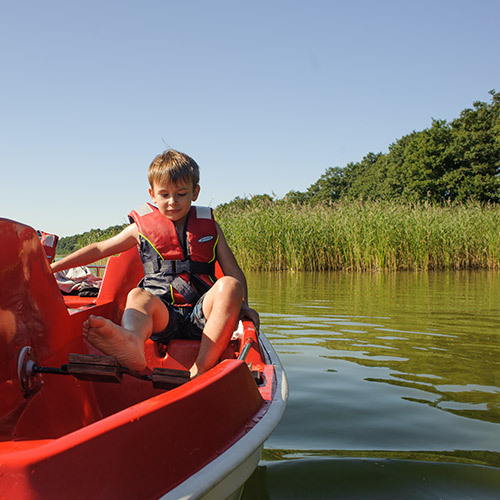 A perfect way for light recreation combined with admiring the Masurian landscape views. Lots of fun for kids. 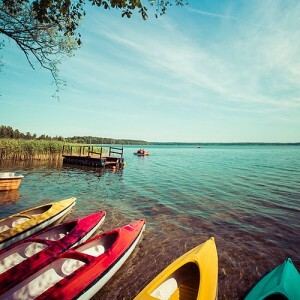 Canoeing along one of the nearby rivers is a perfect occasion for an unforgettable adventure in the wilderness. 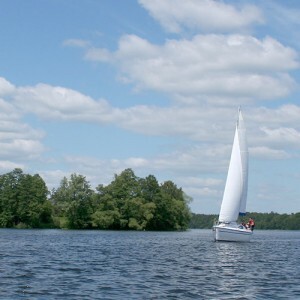 Masurian lakes are all about sailing. Just 2-3 km away there are marinas, where you can rent a sailboat for either a few hours or a longer trip. This pike was caught in Lake Harsz! There are also other nearby lakes, where you can try your luck. On Stara Szkoła's roof there are 2 stork nests and every year their locators fly over half of the world to get back here. You can also watch other stork nests from our front yard or from some room windows. 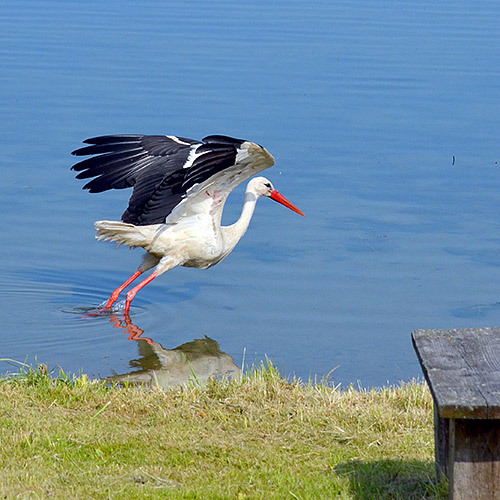 The Masurian Lake District teems with bird species. 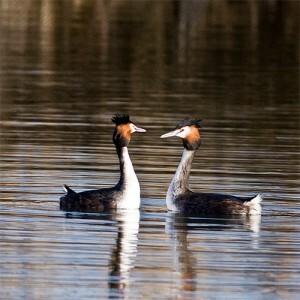 Its natural habitat and a peaceful area makes it a perfect place for birdwatchers. Don't be surprised if you also happen to spot a moose family, a deer, or a beaver! Wildlife abundance is a natural characteristic of our region. © 2019 Stara Szkoła w Harszu. All rights reserved.